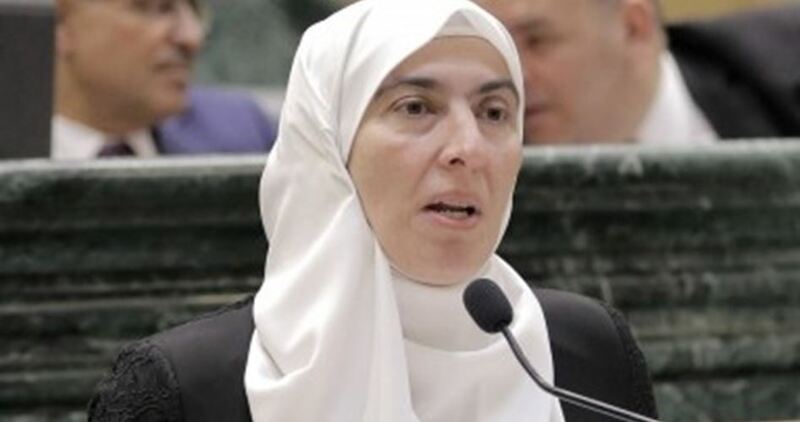 Jordanian lawmaker Dima Tahboub has affirmed that the Jordanians did get anything useful from the 1994 peace treaty with Israel. In press remarks to al-Khaleej Online, MP Tahbout said that “the taste of unripe grapes” was the only thing the Jordanian got from the peace treaty with Israel, alluding to the fact that the treaty was only in favor of the Israeli occupation. The lawmaker also talked about her country’s support for “Jerusalem,” which, she said, has been exposed to a frenzied Judaization campaign since Donald Trump became the US president. She asserted that the Jordanian support for Jerusalem did not diminish, but she pointed to the presence of considerable pressures, local challenges and economic problems that affect such support. The Israeli occupation authorities announced their decision to file an indictment against a Jordanian worker on Friday allegedly after he carried out an assault on two Israelis in November. 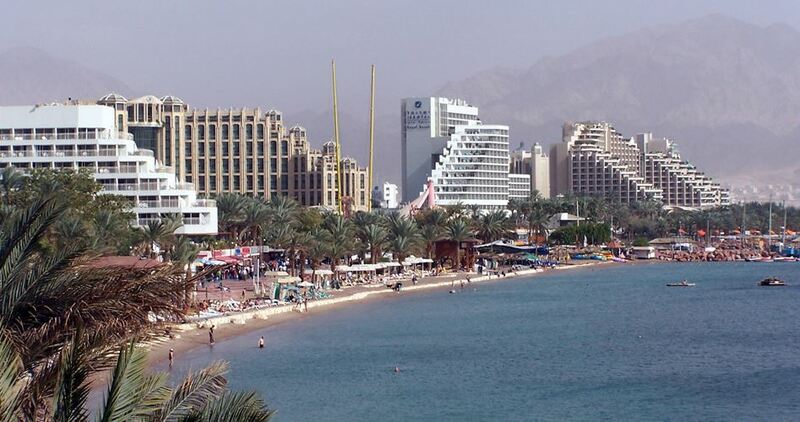 Israeli claimed that a violent November assault on two Israelis by a Jordanian national employed at the Eilat port in southern Israel was a nationalistically motivated terror act. After a nearly three-week investigation by the Shin Bet security service, prosecutors are ready to file an indictment against the Jordanian man, claiming he may not have been working alone and that individuals from a foreign country may have been involved in the attack. On November 30, two Israelis were wounded when their Jordanian co-worker attacked them with a hammer, police claimed at the time. The Jordanian man was arrested following the incident. Several hours later police said an initial probe had increased suspicions that the attack was nationalistically motivated. Bilateral ties between Jordan and Israel sank to historic lows last year after an Israeli embassy guard shot and killed two Jordanian nationals. This came in remarks made by minister Abdul-Naser Abul-Basel during a news conference held to make an announcement about the international conference on Jerusalem and the Aqsa Mosque to be held on December 20 under the auspices of Jordanian King Abdullah II. Abul-Basel stated that there would be active and wide participation in the conference by noted figures from all spectra and different countries, including religious scholars, politicians, academics and activists. 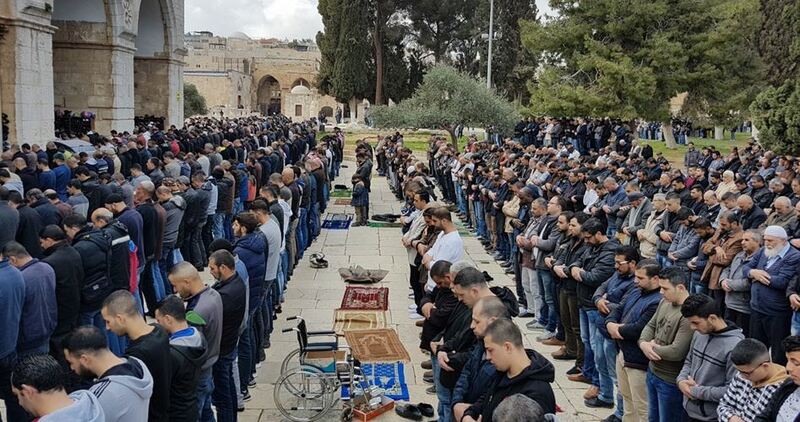 He said that the increasing frequency of Jewish break-ins and violations at the Aqsa Mosque was the main reason for deciding to hold the conference. 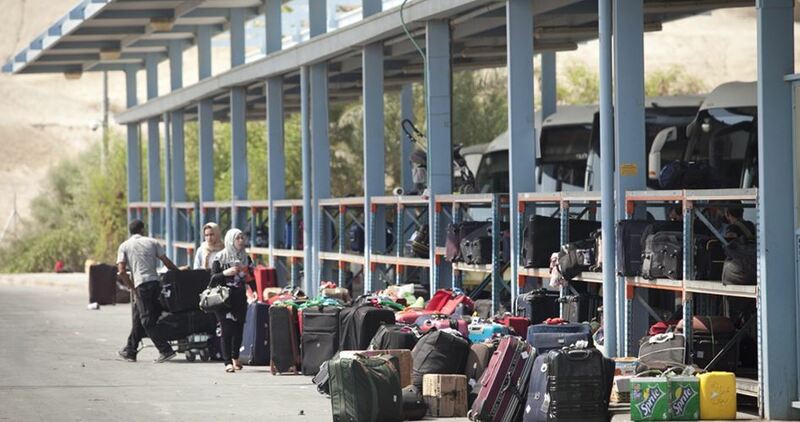 The Jordanian authorities banned a pregnant Palestinian woman from entering the occupied West Bank on account that her husband had served a prison term in Israeli jails and got deported to the besieged Gaza Strip. The Arab Federation for Human Rights said the family of the Palestinian woman Yakeen Fathi al-Hayek updated the organization about the travel ban issued by the Jordanian authorities and her two kids, aged four and two. Yakeen and her two children have been denied access to the occupied West Bank via Jordan under the security guise and for reasons related to her husband’s earlier prison sentence. The Arab Federation said Yakeen, who is in the seventh month of pregnancy, was transferred to al-Bashir Hospital after her health condition deteriorated owing to the Jordanian measures. The Jordanian intelligence has also threatened to forcibly deport Yakeen. The Arab Federation urged the Jordanian authorities to backtrack on such arbitrary measures, allow Yakeen to enter the West Bank, and take into account her critical health condition. The Chief of Hamas Political Bureau, Ismail Haneyya, has sent a letter of condolences to King Abdullah bin al-Hussin of Jordan following the tragic flash floods near the Dead Sea. “We have received the news of the flood disaster, which hit the Jordan Valley near the Dead Sea and killed a number of schoolchildren, with deep sorrow and pain,” Haneyya said in the letter. Haneyya extended his condolences to the Jordanian King, government, people and families of the flood victims, wishing the wounded a speedy and full recovery. The top Hamas leader reiterated his movement’s and the Palestinian people’s solidarity with the Jordanian government and people, wishing the Hashemite Kingdom a secure, stable and prosperous future. 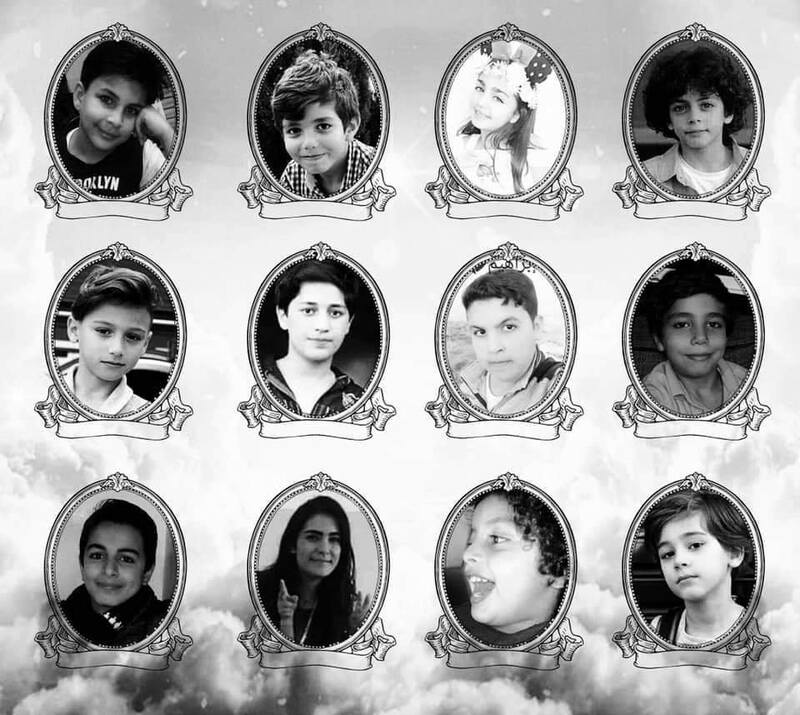 Grief at the death of 21 people, mostly schoolchildren, in a flash flood near the Dead Sea in Jordan turned to anger on Friday as the Jordanian government said that a school that organized a trip may not have had the proper permits. The middle-school students, from a private school in Amman, the capital, were visiting hot springs on Thursday when rain storms unleashed floods that swept them into a valley. The Jordanian Civil Defense Directorate said in a statement on Friday that paramedics had treated 35 people who had been injured in the flood and that rescuers were continuing to search for a number of missing people.